Students can do their own research and find out how the Baghdad batteries were discovered, and whether there has been evidence of any other possible ancient batteries. If components can be gathered the class can attempt to create a Baghdad battery and see if it works. Students can create batteries using different edible items. 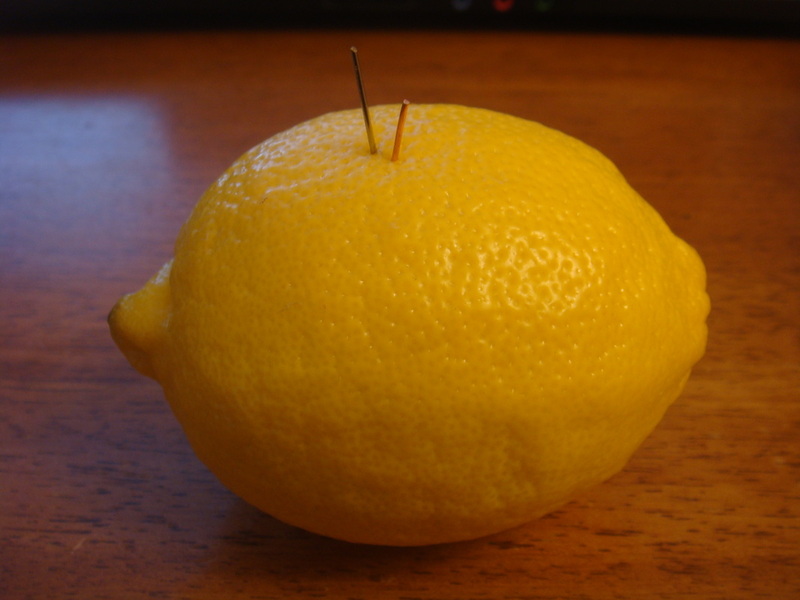 The teacher can show an example of a lemon battery, and then allow students to bring in a food item or two to experiment with, and attempt to make batteries from them as well. Other items that will work: potatoes, pickles, oranges, tomatoes and onions. Students can use a volt meter to test the conductivity of different things such as distilled water versus water containing different substances (salt, vinegar, sugar and baking soda). They can experiment with different amounts of each substance as well. Students can also test and record the conductivity of different types of soils.